Partner with a team of energy insurance experts that have a deep understanding of the industry and the capacity to meet the full range of energy sector needs, from exploration to decommissioning and mergers and acquisitions. The Gallagher Energy team operates from a number of locations globally and is represented in the major hubs of Australia/New Zealand, Asia, Europe/Africa and Americas areas. Our energy sector experts are familiar with the complex challenges and changing conditions in exploration, production and distribution of energy sources, and we have the ability to secure optimum solutions. Our goal is to support long-term growth and success for your business. In Australia and around the world, Gallagher services some of the largest energy insurance placements in the market. We’re flexible and adaptable, with extensive experience in developing and placing programs for standalone or niche exposures. Our experts constantly monitor regulatory and legislative changes that have implications for the energy sector, and we work with the industry and regulatory bodies to ensure understanding and compliance. We also collaborate with our international practice hubs to deliver advice and assistance on program structures, placement, implementation and management of client accounts. One of our key capabilities is providing interpretation and advice on policy wordings. The policies we craft can help energy corporations de-risk, increase market share and enter new markets, as well as providing a competitive edge to assist our clients in achieving commercial objectives. priority claims service – Gallagher provides demonstrated strength in claims handling, both in Perth and London, with relevant experience third party liability and first party claims. To learn more about our energy risk management and insurance solutions, please fill in the form to the left and one of the team will be in touch or call 1800 571 941. Renewable energy to drive power prices down? 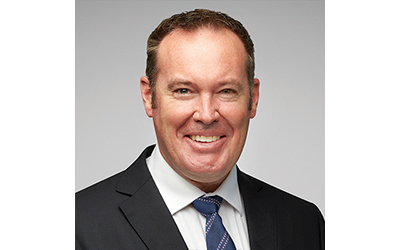 With more than 27 years’ experience in insurance and 17 in the energy sector, Ryan has access to international market connections, and experience with major placements and claims settlements.